When a closely held business is a significant part of a client’s estate, as is often the case, business succession planning becomes an important part of the client’s estate planning. Estate planning issues include how to turn the business into cash for the owner’s retirement, who will take over or buy the business from the owner (family members, an outside buyer, employees, key employees, other owners), and how the sale should be structured. During the planning process, the advisors may determine that the current type of business entity may not be the correct or most efficient one. Changing the business entity must be done carefully and with full knowledge of the tax consequences. In this issue of The Wealth Counselor, as we continue our discussion of business succession planning begun in a previous issue, we will look more closely at the income tax issues that must be considered during discussions of a sale or transfer of a closely held business. On learning that the client owns an interest in a closely held business, there are four basic things the advisor team has to know before it can give the client advice. They are: first, what kind of business entity is involved; second, how is the entity classified for income tax purposes; third, who are the current owners; and fourth and finally, what would the client like to have happen (a) if the client lives to a normal healthy life expectancy or (b) dies early or becomes incapacitated. How much the client’s interest is worth may also be an inquiry to determine how critical planning for the business is to the prospects for success of the client’s planning. * Trusts, which may or may not be treated as separate taxpayers for income tax purposes. How Is It Classified for Income Tax Purposes? Knowing the type of business entity involved sometimes does not answer how it is treated for income tax purposes. Corporations are taxed under Subchapter C of Chapter 1 of the Internal Revenue Code (called “C” corporations) unless they elect to be taxed under Subchapter S of Chapter 1 of the Internal Revenue Code (called “S” corporations). C corporations are tax paying entities, just like individuals. They report their income to the IRS each year and pay tax on the net income after deductions. They do not get to deduct dividends paid to their shareholders, and their shareholders in turn must report and pay income tax on those dividends. This is commonly referred to as “double taxation.” S corporations, on the other hand, are tax reporting entities. They report their income or loss to the IRS and to their owners, and then each owner reports his or her share of the income or loss on the owners’ tax return and pays the resulting tax. This income and loss attribution and tax liability results without regard to whether any cash or property is distributed by the corporation to its owners. Both general partnerships and limited partnerships are classified for income tax purposes the same way—as partnerships. Like S corporations, partnerships are tax reporting entities. They report their income or loss to the IRS and to their owners, and then each partner reports his or her share of the income or loss on the partners’ tax return and pays the resulting tax. The one exception is that in the nine community property states, if the only partners are a husband and wife who file a joint income tax return, they may choose to treat the partnership like a sole proprietorship and disregard its existence for income tax reporting. Planning Tip: Although both partnerships and S corporations are tax reporting entities, the rules applicable to them are quire different. For example, an S corporation can have no more than 100 owners, all of whom must be U.S. citizens or residents and cannot have different income distribution rules for different classes of owners. Those restrictions do not apply to partnerships. LLCs have flexibility. For many years, the IRS went through a complicated rigmarole to determine whether each LLC was more like a partnership or more like a corporation and assigned its taxpayer classification accordingly. Now, the owners of a newly formed LLC have the freedom to “check the box” and thereby choose whether their LLC will be treated for income tax purposes as a corporation (which means it may be eligible to choose S corporation status) or as a partnership. As with partnerships, an LLC owned entirely by a husband and wife who live in a community property state and file jointly may be disregarded for income tax purposes and treated as a sole proprietorship. The sole proprietorship is the most common form of business in the United States. Many businesses started from scratch begin as sole proprietorships. Many of them stay as sole proprietorships unless someone on the advisor team points out to the owner the disadvantages of operating as a sole proprietorship—such as liability exposure and limitations on retirement plans. For income tax purposes, a sole proprietorship is not a separate taxpayer. Its revenues and deductions are reported on Schedule C of the owner’s income tax return. Sometimes a sole proprietorship business is started in or transferred to a trust. For income tax purposes, trusts come in two classifications—“grantor trusts,” the income and losses of which are treated for income tax purposes as being those of the person who contributed the assets to the trust, and “non-grantor trusts,” which are treated as separate taxpaying entities for income tax purposes. Some grantor trusts choose to file zero income tax returns and others do not, instead counting on the deemed owner to report the income and deductions on his or her personal income tax return. Planning Tip: Through careful drafting it is possible to create a trust that is disregarded for income tax purposes, but not for gift and estate tax purposes. 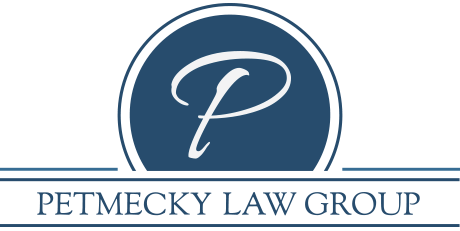 Such a trust is sometimes referred to as “intentionally defective” or an “intentional grantor” trust. Almost all ILITs are this type of grantor trust. Ownership matters because it can limit the tax planning choices. If a corporation or LLC has any owner who is not a U.S. citizen or resident, it cannot be an S corporation. So, too, if some of its owners have one kind of income right that others do not, the S election is not available to the entity. If the entity is owned by all family members, the planning suggested may be entirely different than if the business is owned by a group who came together for business purposes or who share a common licensed profession. Surprisingly, while most clients will have no trouble at all answering the other questions, this one often has never been thought about. The typical owner has his focus on his business and has given little or no thought to how, when, or even if he or she wants to have a life after business. With careful guidance from the advisor team, the client can be encouraged to focus on the more distant future to do what is possible to preserve the legacy that the business represents, rather than simply closing the doors when the owner is not longer able to run the business. Planning Tip: This is where the client’s spouse and family may have goals of which the client is unaware. Does a son or daughter assume that they will someday be handed the business “on a silver platter”? Does the spouse envision a life of romantic cruises paid for with the proceeds from selling the business? There are many, many different strategies for exiting a business other than by closing its doors. In the remainder of this issue we will look at a few of them. The client’s ownership interest in the business might be simply sold to a new owner or another existing owner. In that event, the gain or loss on the sale of the ownership interest is taxed as a capital gain or loss. Is the business owned by a partnership? If so, the client may wish to reduce their percentage interest in the partnership or leave the partnership entirely. The partnership may accomplish such an ownership reduction or exit by means of a liquidating distribution. Distributions of cash or marketable securities will cause the receiving partner to recognize capital gain to the extent the amount of cash exceeds the receiving partner’s outside basis (what the selling partner paid for their interest or the basis they received from the senior generation in a gift transaction). The basis may be low relative to the value, especially if the partnership has accumulated assets by investment of income. What would otherwise be capital gain is ordinary income if the partnership has “unrealized receivables” and/or “substantially appreciated inventory.” This frequently happens in the case of an auto dealer with inventory. A partner who contributed property worth more than its basis may have to recognize gain if, within seven years of the contribution, the partnership distributes the contributed property to another partner or the partnership distributes other property to the contributing partner. In general, however, when a partnership distributes property to a partner, neither the partnership nor the receiving partner will recognize gain or loss, because a) the built-in gain or loss in the distributed property will be preserved for later recognition when the receiving partner sells the property or b) the basis of the recipient partner’s partnership interest is reduced by the basis (to him or her) of the distributed property. The sale of stock in a C Corporation will result in capital gain or loss to the selling shareholder. The buyer’s basis in the stock is the purchase price. Because underlying corporate assets retain their tax basis regardless of the price paid for the stock, the buyer may “inherit” a substantial future tax liability if the corporation holds appreciated assets. Because of this and the risk of acquiring unknown liabilities in a stock purchase, a buyer of an incorporated business will almost always prefer not purchasing the seller’s stock, opting instead to purchase the assets from the corporation. The sale of business assets by a C Corporation results in a gain to the corporation and, under current law, is taxed at graduated corporate rates up to 35%. (Corporations generally do not get a special rate for long term capital gains.) The buyer gets a full step up in tax basis of the assets equal to the purchase price. If/when the net after-tax proceeds are distributed out to the shareholders of the selling corporation, the shareholders will have capital gain or loss, depending on the basis of their stock if it is a liquidation or will have dividend income. There is thus a potential Federal tax rate of 45% on such a transaction. That is why a seller would prefer a simple sale of shares resulting in long term capital gains taxed at 15%. With a going concern, there are both tangible and intangible assets involved in a sale. The intangible assets are the business’ good will and trade secrets and contract rights, such as to distribute a manufacturer’s products or operate under a franchise. With an asset sale, these assets, too, will need to be valued and transferred. Liquidating the C corporation by distributing the assets to the shareholders is generally not advised. It will trigger capital gain income on appreciated assets owned by the corporation and the shareholders will recognize gain on the receipt of corporate assets. The tax bills will have to be paid even though no cash is generated by the transaction. Liquidation of the C corporation is a viable solution if the corporation’s assets are not appreciated and/or shareholders have unused capital losses and/or the corporation has unused NOL carryforwards. In general, if the client simply wants to go out of business and owns a C corporation, it is better to do so in a ten-year plan, as explained below. Make the election to be taxed as an S corporation effective for the corporation’s next tax year. This is a long-range (10-year) plan to eventually eliminate the double taxation that results on the liquidation of a C corporation or conversion to a partnership or an entity taxed as a partnership. Any disposition of corporate assets within this 10-year period—whether by sale, distribution or liquidation—will result in some double taxation, but that is better than all double taxation. Planning Tip: The current environment of depressed values may make this a good time to make the S election. Once the ten years has passed, the S corporation can be liquidated or converted to a partnership or LLC taxed as a partnership without enduring the double taxation. If the client owns an S corporation or an LLC taxed as an S corporation, a transfer to a family member on favorable terms may often be effected by starting with recapitalization. S corporation status is only available to a corporation or LLC that has a single class of ownership. However, for these purposes voting interests are not considered to be a different classification than non-voting interests that have the same income and loss attributes. However, although they are considered to be of the same “class,” they can have vastly different values because the right to control the company’s affairs is associated with voting ownership but denied to non-voting ownership. This ability to transfer ownership without control offers an opportunity to shift value on favorable terms and often appeals to the owner who is reluctant to give up control. It can also be used to separate active owners from passive owners, such as children who will not be involved in running the business. Goodwill is an intangible value associated with the going-concern value of a business. In an asset sale where goodwill is a major component of a company’s value, the double tax sting of a C corporation can sometimes be minimized or eliminated by distinguishing the goodwill owned by the shareholder-employee (personal goodwill) used in the C corporation’s business from the goodwill of the C corporation itself. In such situations, the selling price of the C corporation assets can be split between the C corporation seller and the shareholder seller. The existence of personal vs. corporate goodwill depends on the contractual relationship between the shareholder-employee and the corporation. There should be no employment, non-competition or other agreements between the shareholder-employee and the corporation that serve to transfer personal good will to the corporation. The business sale negotiations need to reflect two separate sales—that of corporate assets and that of the shareholder-employee’s personal goodwill. Proper allocation, supported by appraisals, is needed between corporate assets being sold and personal goodwill. Any covenant not to compete with the buyer needs to be between the buyer and the shareholder-employee, not the selling corporation. Planning Tip: To determine the value of goodwill, allocate the purchase price to tangible assets (cash, accounts receivable, inventory and fixed assets) whose value can be verified and documented. Whatever is left can be assigned to the intangibles, which may include goodwill and intellectual property. For a transfer to family members, the owner can establish an intentionally defective grantor trust (IDGT) and sell business interests to the trust. Cash flow from the business that is not needed to service the purchase note can be used to pay premiums on life insurance on the grantor’s life. On the death of the grantor, the insurance proceeds can be used to pay off any unpaid promissory note balance from the sale to the IDGT. Since the grantor is paying taxes on the company earnings flowing into the trust, the trust is in essence using tax-free income to pay the premiums. Planning Tip: Today’s extremely low AFRs coupled with the asset to value adjustments associated with minority, non-liquid, non-controlling interests in businesses often produce plenty of income in excess of what is needed to service purchase debt. For businesses other than those owned by members of a single family, there is perhaps nothing more important (nor more likely not to exist) than a good, current buy-sell agreement among the owners. We therefore include a few thoughts on buy-sell agreements. Triggering events for a buy-sell should include death, disability, deadlock, retirement, attempted sale to a third party and divorce. Anything that would jeopardize the business should also be included, such as disbarment of a member of a law firm. Types of buy-sell agreements include stock redemption (equity purchase), cross purchase (surviving owners purchase), use of a partnership to hold insurance on the lives of multiple shareholders, and a hybrid or wait-and-see combination to give shareholders the right of first refusal. There are different ways to determine value for the buy-sell agreement. A fixed price method must be updated annually to be useful, and should be supported by an appraisal to avoid disputes. A formula method can include book value, modified book value, capitalization of earnings and discounted future cash flows. Under the appraisal method, a single appraiser can be used, or the buyer and seller can each have an appraiser with any disputes resolved by a third appraiser. A hybrid would be to use a fixed price that defaults to an appraisal if it is not updated. Funding methods can include retained earnings, sinking fund, installment purchase, third-party borrowing and life insurance. Life insurance is the easiest, but the others should be considered if the shareholder is uninsurable. Consideration should be given as to whether a selling shareholder should have any obligation to provide the right to other shareholders to participate in that transfer. This would be an appropriate topic when a sale of the company is involved. It would also benefit the minority interests, particularly when all shareholders are entitled to the same price. Planning Tip: A divorcing owner should have the first opportunity to purchase (over time with interest) the shares the divorce court has awarded to the former spouse before the business or other owners buy the stock. If the owners’ spouses sign the agreement, they can be thus bound. Proceeds of life insurance are received income tax-free in most cases. However, life insurance proceeds may cause AMT issues with a C corporation. Premiums paid on insurance to fund buy-sell agreements are never tax deductible, either by the entity or the owners. Planning Tip: Consider how to handle any excess life insurance proceeds. For example, if the business is valued at $5 million and there is $8 million in life insurance, what would happen to the extra $3 million? Depending on how the agreement is written, it could go back to the corporation as key man insurance or it could be paid out to the deceased shareholder’s estate or beneficiary. There could be a tax issue depending on whether the business is a C corporation or an S corporation. Transfer Tax Issues: Under Code Section 2703, the transfer tax value is determined without regard to any buy-sell agreements among family members unless: a) the buy-sell agreement is a bona fide business arrangement; b) it is not a device to transfer such property to members of the decedent’s family for less than full and adequate consideration in money or money’s worth; and c) its terms are comparable to similar arrangements entered into by persons in arm’s length transactions. This is a very difficult burden to overcome. As a practical matter, what is paid under almost all buy-sell agreements has no relationship to what the IRS determines to be the value transferred. * Unless elected otherwise, all income and losses for the entire year are allocated on a per day basis. * The possibility that a corporate redemption may not qualify for capital gains tax treatment in the hands of the departing shareholder. * Prohibit loans, stock options or other transactions which would constitute a second class of stock. * Provide that the corporation will make distributions to shareholders at least quarterly to enable payment of estimated income taxes on flow-through income. It is impossible for one advisor to know everything, which is why the advisory team concept is so important. But the team member who has awareness of the issues associated with a client owning and/or selling a closely held business will be of great value to the team and to the client.